MLS # 71124900 - SORRY - SOLD!!! Directions: Rte. 395 Exit 2 - Rte 16 Gore Road to Killdeer Island Road, 1.5 Miles on the Right. WEBSTER LAKE - Killdeer Island - Sandy Shores! Level Lot with 57' Waterfront! Professionally Landscaped! Natural Beach! 7 Room Contemporary! Applianced Custom Kitchen with Island - Open to the Dining Area with Beautifully Tiled Floors - Lake Views! 2 Story Living Room with New Hardwood Floor being Installed also with Floor to Ceiling Brick Fireplace & Glass Wall with Panoramic Lake Vistas! Family Room with Entertainment Center - Sliders to the Perfect Front Yard - The Lake! 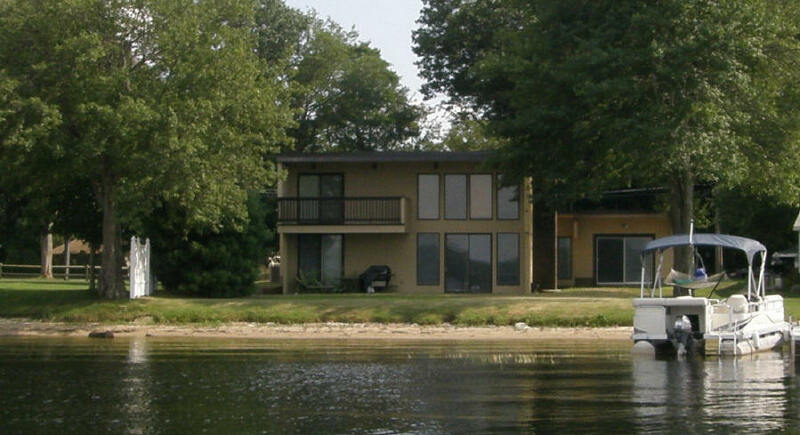 Lake Facing Master Bedroom with Private Deck, Walk-in Closet & Full Bath! 3 Full Tile Baths, 1 with Whirlpool! Central Air! Garage! Exterior being Freshly Painted! New Wall to Wall Carpeting being Installed in 2 Bedrooms and the Family Room!